Hanoi (VNA) - Runners are going the distance in the Vietnam Mountain Marathon (VMM) from September 22-24 in Sa Pa. Founded in 2013 by Topas Travel, the event has grown from 200 runners to 2,500 this year, making it one of the biggest ultra-running events in Asia and the landmark event on the Southeast Asia calendar. 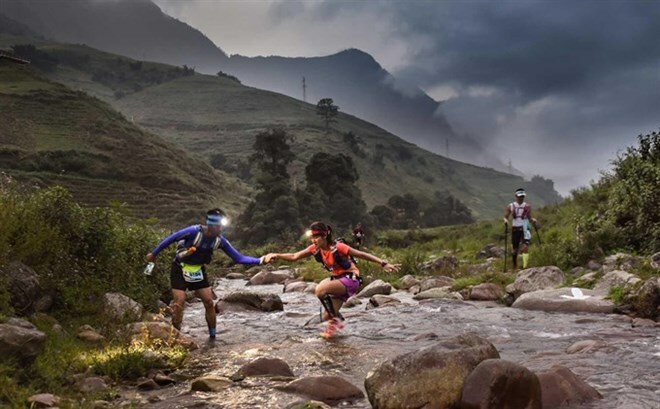 The runners from 50 nations will race distances ranging from 10km to 100km in Vietnam's highest mountains. Winners of the longest distance race have hailed from Denmark, Czech Republic and Thailand. This year, however, there are high hopes for a Vietnamese winner in the longest distance. However, with a host of top-class runners coming from overseas, including multiple championship-winner Manolito Divina of the Philippines, victory for Vietanm will not come easily. In the women’s field Le Phuong Vy and Nguyen Thi Duong are both strong contenders. Accomplished athletes coming from overseas, including Moana O’Sullivan and Montha Suntornwit, promise to make the race highly competitive. Well-known runners also compete in the race including British Ambassador to Vietnam Giles Lever; TV host Thuy Dung; actress Vu Thi Hoang My and Miss Universe Vietnam 2017 judge Nguyen Huong Giang. Dung will be on the starting line for the 21km for Newborns Vietnam team. Former ambassador of VMM, My will line up for the 21km alongside fellow Miss Universe judge Giang. British Ambassador to Vietnam Giles Lever will be running the race again following his age group win and fourth place overall at the event last year. The event kicked off with an expo event in Sapa Square on September 22 with live music, DJs, food and drinks and sponsor booths from California Fitness and international names including Garmin and Hammer Nutrition. The 100km race starts at 10pm on September 22, with the participants running through the long, dark night in the highest peaks of Vietnam. Throughout September 23, runners in the 70km, 42km and 21km contests will join them for a race through stunning rice terraces and ethnic minority villages. The race finish line is the Topas Ecolodge, recently voted No 1 on the National Geographic list of places to stay if you care about the environment.